Month of Bond: Is product placement ruining Bond? I’m not sure when product placement first started but with Bond it was really at it’s worst with Die Another Day. That was the first Bond film where the story would almost halt so that the company who helped fund the movie could have their latest gadget get pride of place within the film. It was also the worst it had ever been for a Bond film, with reportedly 20 different companies paying to have their product featured in Brosnan’s movie. Some product placement has become common-place in many films, from the choice of computer, phone or car brand that is used in any given movie. That goes double for Bond because his car choice is so iconic, from Aston Martin, to BMW or in the case of Die Another Day, a Jaguar even getting a run-out. It is usually his choice of watch that is in focus too. Bond is renowned for a gadget in the watch so it wasn’t a surprise to see 007 with a prominent Rolex, altered but name-checked by Desmond Llewellyn’s Q of course. More recently, Bond’s watches have been made by Omega and the logo also features in any key scene involving whatever clever gadget he has. The last key piece of product placement is the drink of course. Vodka Martini is so iconic and linked with the character that if a company could become the supplier of either of those spirits then they could be quids-in. It was a slight shock when in Casino Royale, Bond rejects his classic drink and insists on a Gordon Gin flavoured beverage which he names after Bond Girl Vesper. Add to that Skyfall’s huge money deal with Heineken and the product placement cracks begin to show. Now we are within the Month of Bond, adverts for the film are everywhere. 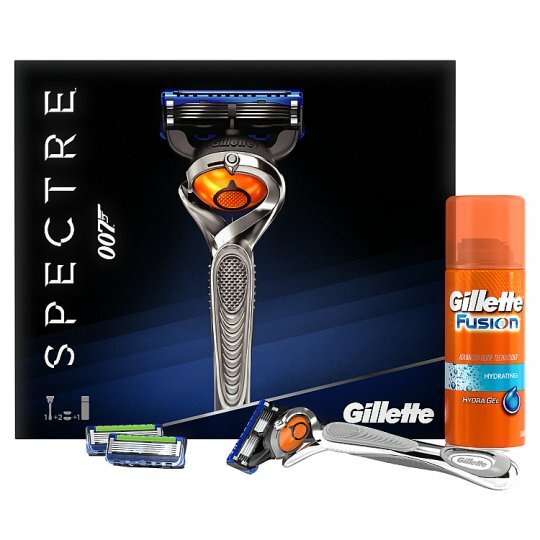 Trailers, movie posters and bus billboard are fine but when we get 007 sponsored razors, you begin to realise that the shine is being removed from the elusive super-spy. James Bond is supposed to be a man who is unobtainable. You can’t just be him! So why on earth should he be drinking lager and using Gillette razors? This became even more apparent when the adverts appeared on TV to promote the products that have been loosely linked with Bond. The Heineken deal is so big that Daniel Craig at least appears in the advert but a new Vodka Martini brand, Belvedere, exclusively getting placed within Spectre, has the character looking to camera and saying “excellent choice, Mr Bond.” He isn’t mentioned, featured or even loosely linked with the advert anywhere else! At least the new Sony advert has Moneypenny actress Naomi Harris. Unfortunately, she is apparently searching for James Bond’s phone and he keeps his valuable gadget, designed to be pocket-sized and accessible at all times, in a locked briefcase in a train station (?). It is using Bond’s name in inexplicable ways that in no way links with the character, film or even the product itself in some cases. I’d be able to look the other way if it didn’t also have such a huge impact on the movie. The scene where Bond reels off the ingredients for his new drink in Casino Royale was so forced it jarred with the rest of the scene. When a character inexplicably asks Bond what make his watch is so that it gets a mention, you wonder how Sam Mendes or even Daniel Craig feel about having to take part in such cringe dialogue. I know for a fact that Bond will receive at least a new car, phone and watch from Ben Whishaw’s Q in Spectre and as he does, Q will need to make sure he relays whose product he has altered and maybe how much they have actually promoted the film, before toasting Bond with a Heineken and asking whether he gets a rash from his new Gillette razor. Overall, James Bond is supposed to be about cool gadgets, fast cars, beautiful girls and saving the world. It shouldn’t be bogged down in product placement. Bond does not drink lager, shave with Gillette or create drinks where he has to specifically mention spirits by brand. When he does, my suspension of disbelief is broken, as is my faith in 007. Does this even need to be a thing?! It’s the saddest time for a anyone that likes Bond, seeing everything from magazines and clothes to aftershave and lager with the 007 Logo. It was always there but used to be luxury / fantasy items – Casino Royale was the worst with a frickin’ FORD!!! And Sony phone. I guess it’s to make everyone have the ability to say they have a Bond car! Watched Skyfall again the other night and even in the pre-film mission there’s: Land Rover, Audi, Volkswagen, CAT. More and more blockbuster films seem to have pathetic lingering shots of things like cars, jewelry or even just branded signs – great way to pay for them, but should be more subtle. The worst example I can remember is Adam Sandler actually working in a Bed Bath and Beyond in one film. I expect it from Adam Sandler though. This is Bond. It does become really ridiculous and in some cases (Die Another Day) becomes another reason that the film is terrible.